It`s a difficult path, so if you are a serious hiker and you want a lot of then you have to go at the High Path. 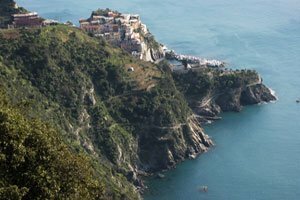 This trail essentially stretches beyond the National Park of Cinque Terre and links the towns of Levanto in the north with Portovenere in the south. It’s not easy to say how much time you spend for the trail because you will stop in the village, enjoy nature, and so on; however it’s about 6-12 hours. Don`t forget to pick up the detailed map, you can find it in the centres for tourists. If you get tired of hike and decide you have had enough, don’t worry - there are lots of paths that link the High Path with the towns of Cinque Terre, so you can cut your serious hiking along the way and decide to occupy the rest of your day drinking the local wine in a bar. No one will critic you. Walking time: 12 hours, you can divide the path and walk only a part.